“Am I?” I grunted, then added: “My grandfather, that grandfather who isn’t looking for me, told me when I was little that our nightmares always seem real. Maybe...,” I whispered, but Young-bum didn’t hear. He had already left. 'We ate anything to stay alive. Insects, squirrels and vegetation from the forest. Anything that prevented us from starving to death“. 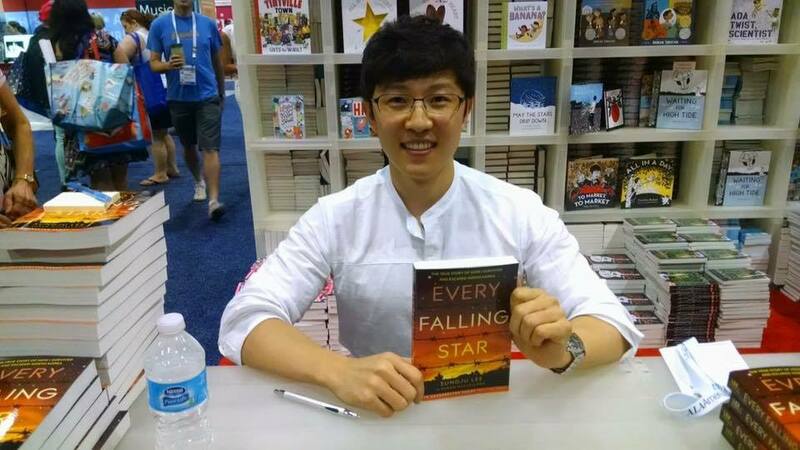 The life of the young boy Sungju Lee changed forever within a year. Form a son of a former bodyguard in Kim Il-sung’s personal security force living comfortably with his parents in a three-bedroom apartment in Pyongyang, he found himself on the street in the province, all alone, hungry and without shelter. Everything changes in 1994 with the death of North Korea's founding father, Kim Il-Sung. The father of the then 10-years old boy is forced to flee the capital city with his family because of a „political mistake“. 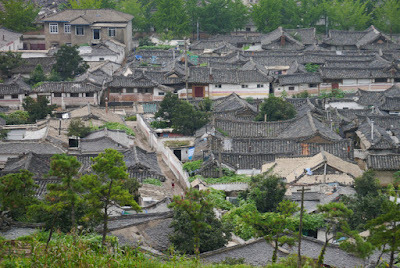 They fled to the north east region of North Korea where famine and poverty were everywhere. The father of Sungju tried without success to find work. „We had no income and my father would go off into the woods to look for food. We ate whatever he brought home. It might be pine tree bark or snakes that were turned into a stew“. Suddenly Sungju's father announced he was leaving. He told him he was going to China to look for food, and would come back in a week. The week passed, but Sungju's father did not return. Soon afterwards, his mother told him she was going to travel to his aunt's house to find food. Fearing she would also not return, Sungju refused to leave her side. But when he fell asleep she left, leaving a note telling him to eat salt with water if he was hungry. He never saw her again. „I started hating my parents“ he told BBC. „They just left me and I completely lost everything“. Without shelter and food the 12-years old boy had no choice but to start begging on the streets for scraps of food. To survive he formed a gang with six other boys and they started pick pocketing. „The first time I stole it was hard, the second a bit easier and by the fifth time it was a job“, shares Lee. The gang had to move to another town every few months, when people began to recognize them. That meant fighting the gang that was already working there. Often the members of the other gangs were older and armed with weapons so the fights became more dangerous. In such fighting two of Sungju's closest friends were killed and he had to bury them. At that time the gang began to drift apart and the boys decided to return to the city they came from. There Sungju was approached by an elderly man. „He told me he knew me and asked me to come home with him. I agreed, but only if the other gang members could come with me. We were planning to steal everything he had, but once I was in his house I saw a photo on the wall. It was the wedding photograph of my father and mother and the man told me he was my grandfather“. It became clear that his grandparents had never given up searching for him. Sungju stayed with his grandfather until eight months later a stranger appeared with a letter from his father. The letter said: „Son, I'm living in China. I really miss you. Come to China with your mother“. The stranger was a broker who helped Sungju crossing over the border into China in October 2002 when he was 16 years old. He then flew to South Korea where he met his father. At the beginning, he felt isolated and struggling with his identity. He didn’t understand also what exactly freedom is. Then one day he understood. He was in a shop deciding what brand of pen to buy. „I tried every pen, it took two hours“ he said to BBC. „I suddenly thought that this must be freedom, because I can choose a pen that I like“. In South Korea Sungju started again to go to school. In 2015 he won a scholarship to study for a Masters degree at Warwick University in International Relations and Security. 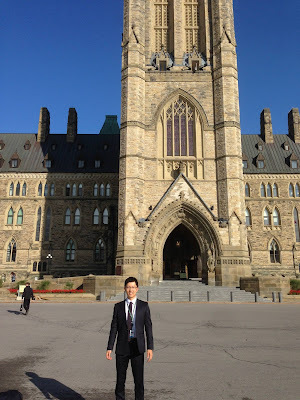 His next goal is to apply for a PhD in Korean unification. The 29-year-old said that young people are likely to trigger major social and economic changes in North Korea over the next 20 years. 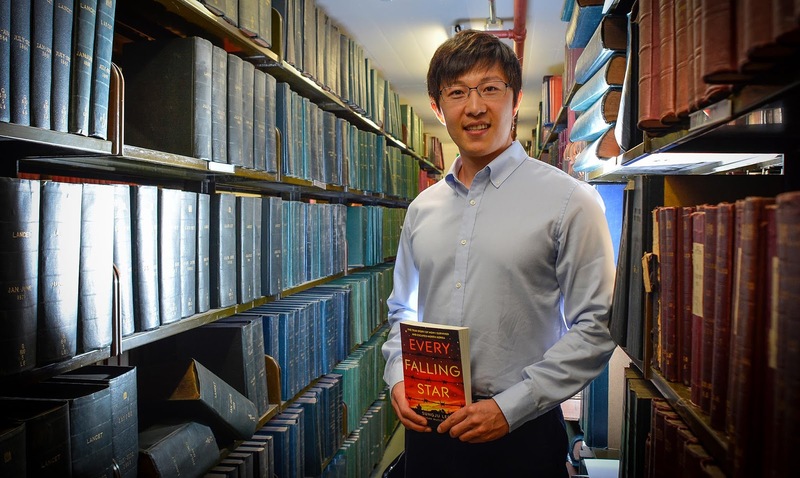 „North Koreans will realise they can make money from buying and selling goods without government control.“ Sungju Lee turned his story into a book called „Every Falling Star“. I had the chance to talk to Sungju about his struggle to survive, the importance of never losing hope and the future of North Korea. Sungju, your story seems so impossible, so unreal to us, foreigners. What we could not imagine about the life in your country? North Korea is a very isolated country from the international community and only some foreigners can visit selected places in North Korea. The government forces kids to watch public executions in order to brainwash them. This is a perfect education based on fear. I saw pubic executions when I was 11. How the life in the capital city is differing from the other parts of the country? What was your life there? What did you know about the world outside at that time? Everything was ok. Have you seen the movie “Hunger games”? It is similar. My life was normal. I went to school and played with friends, had enough food. When I was in the capital, I was under 11 years old, so I did not think about outside. I believed that North Korea is the best country in the world since my life was not that bad. I had learned about the world which is North Korea centered. I learned that the USA had kept trying to invade North Korea, so we had to defend North Korea. The world that I learned was focused on the great leaders. Without the leaders, we could not survive against the Western power. What was the worst thing you were faced with when you were forced to move into the province? How was the life there? I saw so many beggars. We also did not have food, so I went to the mountain with my father to collect wild vegetables and animals. I ate snakes on a very lucky day. Compared to the capital, the province was nightmare. The worst thing that I saw was public executions. What kind of people were executed? For what kind of crimes usually? At the first execution that I went, there were two people: one stole copper from factories and tried to smuggle them the China. The other one was woman. She crossed Tumen River, the border between North Korea and China, and met Christian missionary and learned about Jesus. Both of them committed high treason according to the judge. How all this hardship affected the NK people? This hardship has made people work in the market in order to survive. People found that the government could not give them food, but they could not rise up because of the strong suppression. Emotionally, this made people became more selfish. How did you as a small child perceive all this? I was confused because everything that I saw outside of the capital was different from what I had learned in the capital. You were abandoned by your parents, then you lost your closest friends. What gave you strengths as a little boy not to give up? How all these experiences changed you? When I was 12, I lost everything. My parents left house for food, and then I formed a gang with friends. Although I lost everything, I had hope that someday I will meet parents. This hope gave me strengths to survive in North Korea. This experience taught me the importance of friends. This also gives me strong adaptability to any place. You were helped by human trafficker to cross the border. How difficult and risky is to escape the country? I was lucky because my father sent a broker to North Korea so the broker bribed a soldier who was protecting the border. What kind of world did you expected escaping North Korea? Did you remember the moment when you felt really free? I did not think about the world and the freedom, when I crossed the border. I thought about my father. You said that Freedom is being able to choose a pen in a shop. Now after some years leaving abroad do you think people feel free also in the democratic countries? Well... it is up to individual whether one has freedom or not in democratic countries. To me freedom is like air. We do not appreciate it, but we cannot survive without the air. It is the same. When you appericate the choices that you have, and enjoy them, and be responsible to what you made, you can enjoy what you have and cherish the freedom. In democratic society, you can make your own decision without suppression. You had to start your life anew many times – from privilege life in the capital city to poverty in the province, then from North Korea to China and South Korea, and then again in the UK. How this constant need for adaptation transformed you? Where was most difficult to adapt? Where the culture shock was most serious? I could not choose my birthplace (NK), but I can choose the place I want to visit or to study for achieving my dream. If you have objectives that you want to achieve, you will make ability to adapt to new environment. As long as you have purpose, you can overcome the most difficulties. How do you think -why is it still possible for an oppressive regime like the North Korean to still survive in today’s age of technology? Well... because of exerting strong suppression on its people and controlling information from outside. For instance, if you commit serious crime against the government, not only you but also your parents and your kids will be punished by the government. 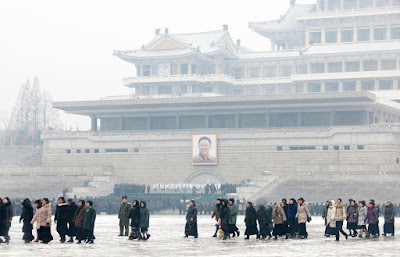 Are there smartphones and internet in North Korea? There are phones but no one can make international phone call. Only domestic calls are possible. There is internet, but normal people don’t have access to it. Could there be North Korea without the current leader? Who could succeed him? I don’t know. I hope this is the last one. Where do you think the change could come from? I believe that people who are doing business in the market could do it. I them market generation. Do you believe in reunification? How it could happen and is this the best solution to your country? Yes, I believe that because North Korea is changing based on market. Well... if the number of market generation increases, these people will be the core power of changing North Korea. The best solution is that first NK people work towards reunification and the South support them and work together. Do you know what’s happening with your mother and friends? No, I am still searching my mother. Why did you decide to write a book? 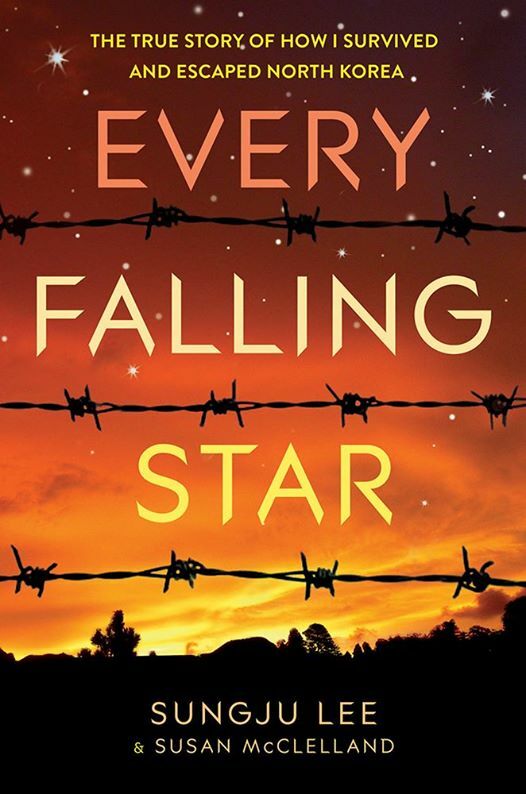 Why did you call it „Every Falling Star“? I believe that story has power, but if you do not share it, the story is nothing. And I cannot travel many countries, but my book can. I want to talk about hope, courage, friendship through my book. The message of my book is „hope is nеver lost“. Why I called the book „Every Falling Star“? When I was a kid, my mother told me a story that whenever I see a falling star, I should make a wish and then the wish will come true. When I was on the street in NK, whenever I saw a falling star, I made a wish that someday I will meet my parents. The other reason: there is a saying in NK that if a person die, his/her star in the sky falls, so this is my story, but I want to dedicate it to persons who died under this horrible regime. If you have to describe your journey till now with one word – what could be that word?